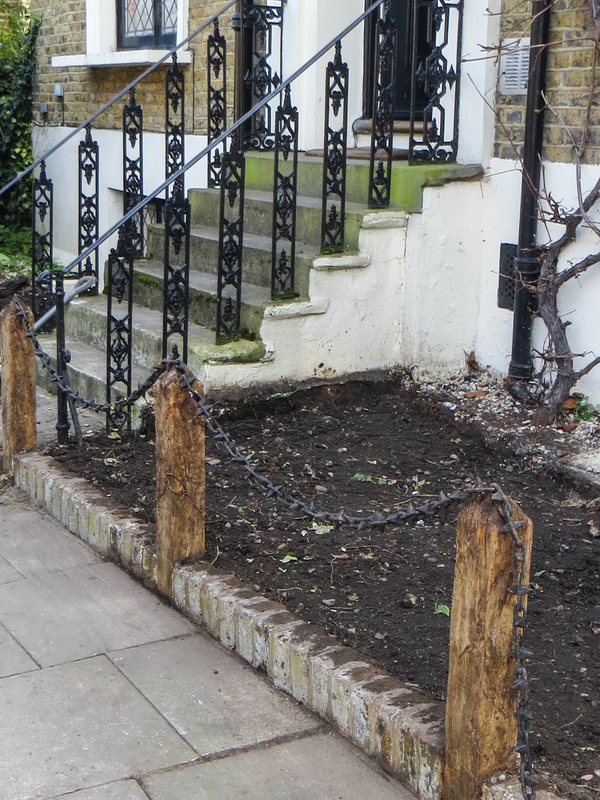 The house has a very narrow front ‘garden’ and by clearing it step by step it became clear a radical change is needed. 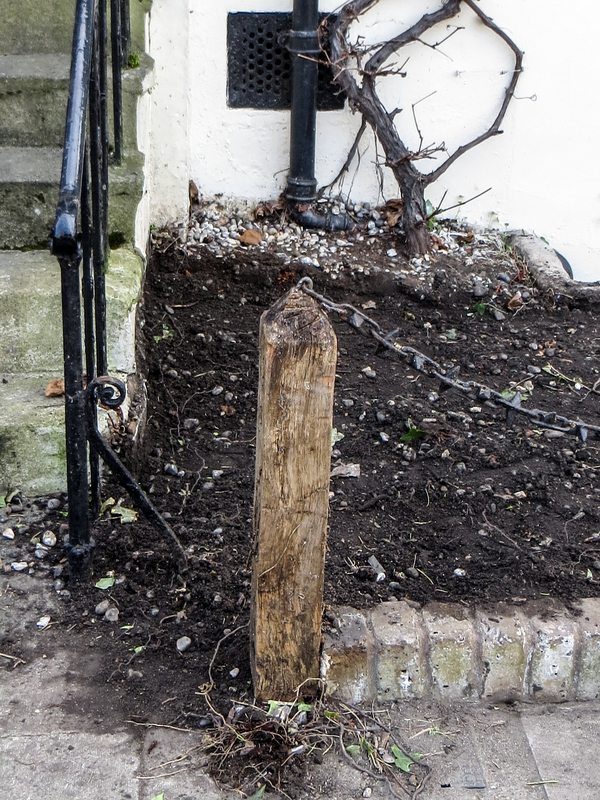 Once the ivy had been cut down we could properly see the railings, and their pretty ending at pavement level, but clearly those posts and the chain need to go. 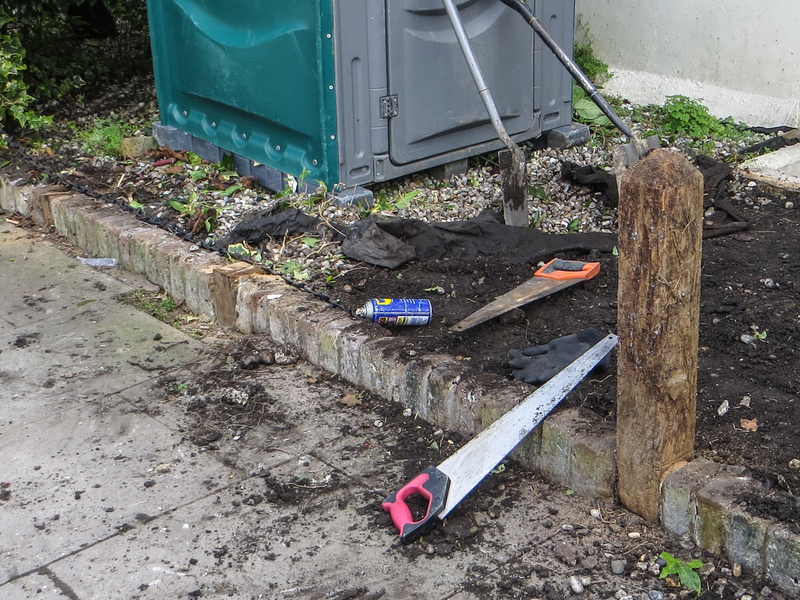 The railings and the wall will have to be painted, and the vitis cognitiae will be cut down to the level of the painted wall. I am planning a box hedge.